My fascination with oils continues! I am loving all the I’m learning and all the ways the oils are helping me! I am all for not putting more chemicals in my body when I don’t have to! New York Biology Rosemary Oil has been great. It is not food safe, but there are so many uses that don’t require ingesting so it’s all good! I have tendonitis and am in almost constant pain, even with the brace on all the time. After doing my research for this post, I rubbed some oil straight onto my wrist with a tissue and the pain was relieved immediately! I cannot tell you how much value this bit of relief has for me! I have a ton to do, all of which require my right hand which is getting worse and worse! 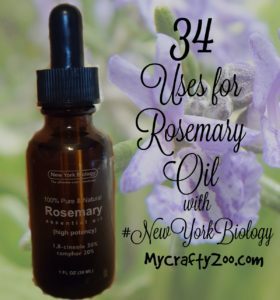 As you can tell through the other posts, I’ve worked a lot with New York Biology lately. I have to say, they are a great company. They are a small business and sincerely care about their customers. I’ve always loved supporting small businesses, but having spoken with one of the owners on multiple occasions, I am loving them even more! I am not sure I’ve ever spoken with a business owner who cared so much about their customers that they’ll sacrifice profit to help ensure their product is affordable to everyone! Be sure and check out my other recent oil posts, I’ve done lavendar, peppermint, sandalwood and tea tree oil. There are tons and tons of uses and I’ve made lists of all that I could find. I’m hoping some of you awesome readers will let me know some more! This one even gives helps with scars and stretch marks! 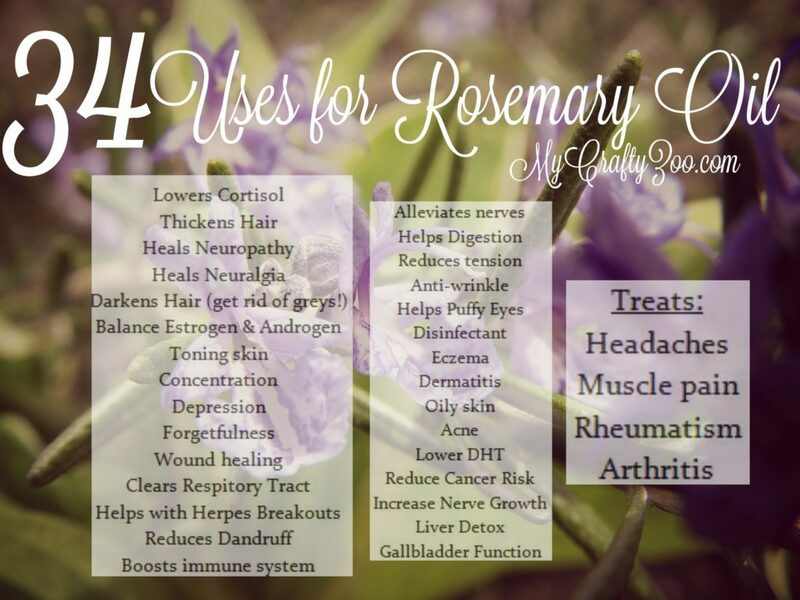 How do you use Rosemary Oil?